Here is some information on scuba diving and snorkeling in Texas. You'll find Texas Scuba Dive Clubs, Texas Diving Locations, and lots more. You should also visit Texas Outside's Main Snorkeling and Scuba Diving Page to find more information on snorkeling and diving in Texas. Austin Scuba Club The Austin Scuba Club is a nonprofit club organized to promote and encourage individual and group interest in scuba diving. Bay Area Divers Home of the 'Get Wet' club! 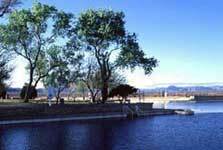 Bottom Time Dive Club Provides diving and diving related social and educational opportunities. City of Houston Underwater Mariners (CHUM) Social dive club. 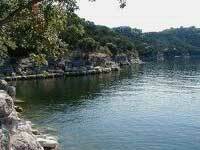 DiveTexas Texas's Premier SCUBA Web Site. FINZ Dive Group Scuba club in the Dallas Area. Houston Scuba Academy Sole objective of helping people relax and have fun scuba diving. The Diving Rebels Oldest dive club in Texas (established 1958). Blue Lagoon, Huntsville, TX The site is composed of two lagoons. Three large dive platforms exist in one lagoon and two are in the other. There are a few small boats in the 35' deep lagoons. 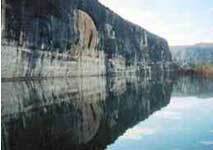 Possom Kingdom One of the oldest inland scuba diving destinations offers exceptional diving the closer you get to the dam with visibility ranging up to 100 feet & is a popular treasure-hunting site. Windy Point Park, Lake Travis Divers will find boat wrecks and metal sculptures of a scuba diver, a sea turtle, a shark, a manatee and other interesting underwater objects. Dedicated to Texas Scuba Divers in the Lone Star State. Database of shipwrecks off the coast of Texas in the Gulf of Mexico.